Hello and welcome to Third Eye Gypsy(s)(Yes, we know it's not proper grammar, but the correct spelling was already taken ;)! "Enlightened Art for the Awakened Soul". 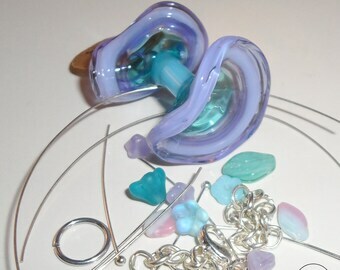 We create one of a kind lampwork beads, dread beads, lampwork cabochons, and festival jewelry. We have been a sorceress of fire for 16 years and continue to refine our art each time we sit down at the torch. Stunning - so much more beautiful in real life. Dusk Painted Desert Rain Puddle lampwork headpin with rustic finish with shiny pool in raku and dusty rose pink on steel wire. 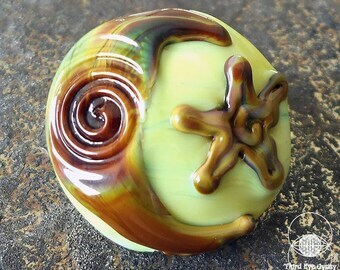 Such a beautiful lampwork bead. Love the sun and moon on it. Can't wait to find just the right thing to fix with it. That's the fun for me. Beautiful color. So happy with my purchase. Thanks so much for the free bead! Have several of these and love them all. Such pretty colors, and such a reasonable price. 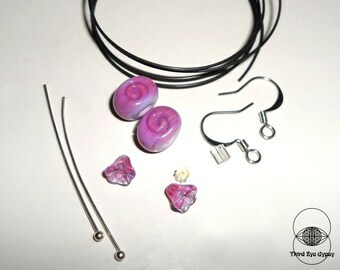 They work well with so many pendants. Fast shipping too. Love these ribbon necklaces. They are so pretty. Very happy with it. Glass artists "paints" come in the form of colored glass rods. Glasses are:opaque, transparent, opal, and silver laden. Stainless steel mandrels are dipped in bead release to hold the hot glass while they are worked in the flame. Glass is melted with an oxygen/propane torch and wound onto stainless steel mandrels. 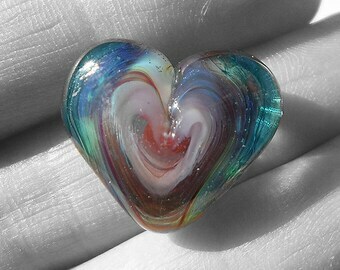 Glass is shaped with tools and presses and can be manipulated with glass frit, fine silver leaf, and baking soda. When beads are completed they are put into a digitally controlled kiln to anneal for strength and durability. 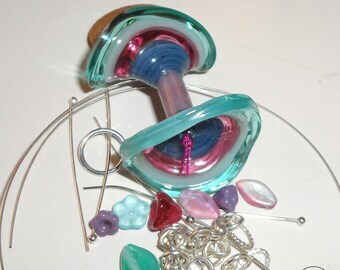 I hand make each one of my glass beads and run the entire shop and all of its inner workings myself. 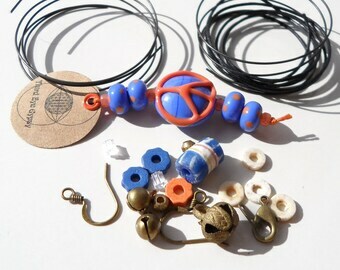 I like to push the limits of my medium to create unique pieces to use in my mixed-media jewelry and for designers. 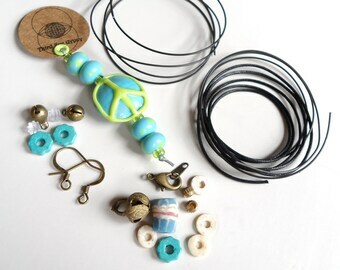 Welcome to Third Eye Gypsy(Genea Beads) where each lampwork bead and mixed-media component is masterfully made one at a time by hand in my home studio. 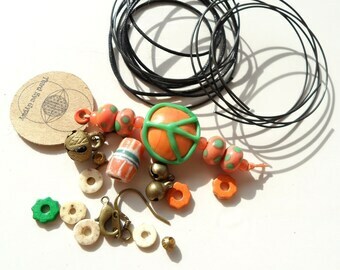 Every bead is annealed in a digitally controlled kiln for strength and durability so it can be enjoyed for a lifetime. 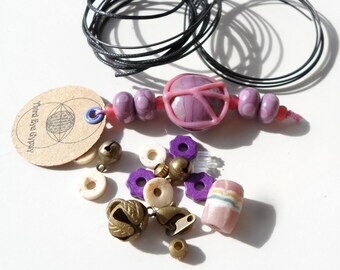 We only sells first quality beads so you can be sure to expect only the finest quality work. Due to the unique nature of my items I am unable to accept returns on change of mind. Please contact me with any concerns. I want my customers to enjoy each and every product they purchase from my shop. Paypal and credit card payments need to be made at the time of purchase. Reserved items are to be paid for by the end of the day on the agreed upon date of purchase. Unpaid reserves will go back into the shop for sale. We use United States Postal Service first class shipping. Items will be shipped in 1-3 business days after purchase. You may experience some delays in shipping on non-mail delivery days and holidays. International Shipping may take as little as a week or as long as 6-8 weeks to arrive due to delays in customs. If you do not receive your order at that time please contact me so that we can get your issue resolved. We would suggest purchasing insurance for trackability and peace of mind. Purchaser is responsible for the payment of any customs fees charged by their country. All items are carefully inspected and wrapped accordingly to avoid any damage during shipping. For an additional charge expedited shipping and insurance may be added to your purchase. Please inquire about shipping upgrade and insurance costs at check out. 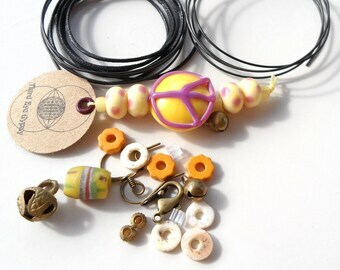 Wholesale inquiries are welcome- Please e-mail me at eyedoglass [!at] hotmail.com for more information.